Alexandra is a Registered Massage Therapist in good standing with the CMTO. Alexandra became interested in health care after becoming a mother to her two children Tatum, and Sammy. Alex believes that a nurturing touch is inherent to all of us as a species; From the day we are conceived to the day we pass. Alex does a variety of massage varying from deep tissue to relaxational. Alex is trained in numerous techniques including; Swedish Massage, Trigger Point Release, Fascial Work, Frictions, Remedial exercise and home-care. At all times client care and compassion to client needs is her number one priority. Alexandra has a passion for pregnancy massage, and the importance of Massage for our younger generations. Thus, Alex has pursued additional training in Prenatal/ Pregnancy Massage alongside Nicole Nifo, RMT and Michelle Francis- Smith, B.A., RMT. Alexandra has also taken additional courses such as “Foundations in Myofascial Release for the shoulder complex”, and “Integrated Manual Therapy to eliminate multiple nerve crush Phenomenon of the Lower Body”. 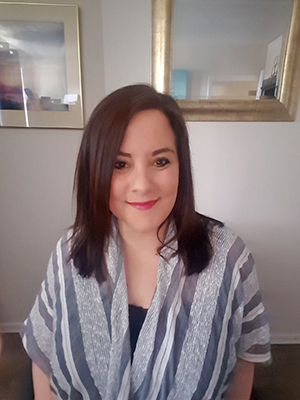 Alexandra believes Massage Therapy is indeed considered a “practice” and is devoted to continually researching and updating her knowledge on the practice itself and public health and safety.